Despite being 23 years old, I still read/watch a lot of media that is meant for kids and teens. 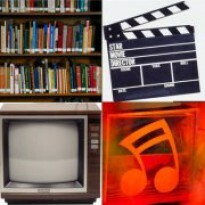 In fact, my two favorite shows are "Victorious" and "iCarly"; "Harriet the Spy: Blog Wars" and "Good Burger" are among my top films; and my iPod is chock-full of music by artists such as Lemonade Mouth and Demi Lovato. I am also a Christian, and do my best to spend some time every day studying the Bible. This multi-cast audio New Testament is very helpful in doing so. The actors are all quite good, and hearing the words of Jesus Christ and the Apostle Paul read clearly and slowly really helps you understand it better. The one complaint I do have: Why the International Children's Bible (ICB)? If this was made with tweens and/or young teens in mind, I think the New Living Translation (NLT), which is at a seventh grade reading level, would be more appropriate than a translation intended for kids who two-plus years from finishing elementary school. 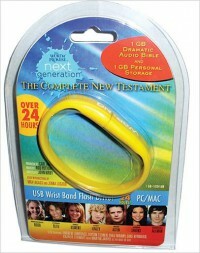 That's a minor complaint, though; if you like listening to audio Bibles, give this a try!